A dominant India sailed into the final of the women’s Asia Cup Twenty20 tournament with a seven-wicket drubbing of arch-rivals Pakistan in their last round robin match here today. Electing to bat after winning the toss, Pakistan were restricted to 72 for seven in the allotted 20 overs at the Kinrara Academy Oval. Left-arm spinner Ekta Bisht was the most successful India bowler, claiming impressive figures of 3/14 in her four-over spell. 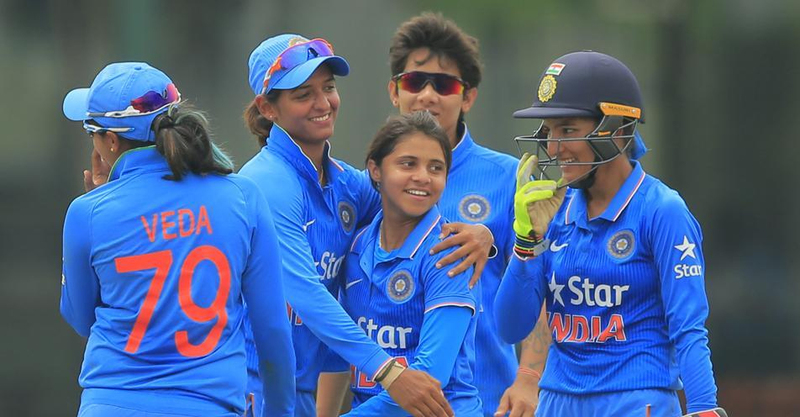 The others chipped in with a scalp apiece, although pace spearhead Jhulan Goswami went wicket-less surprisingly. Bisht was named Player of the Match. Chasing a meagre target, India completed the task with as many as 23 balls to spare. Opener Smriti Mandhana top-scored with 38 off 40 balls while skipper Harmanpreet Kaur made 34 in 49 deliveries. Veteran Mithali Raj and Deepti Sharma failed to open their account, but their failures did not come in the way of India’s win. India were off to a disastrous start as they lost Raj and Sharma with just five runs on the board in the third over, but the low target allowed them the liberty of taking things easy. The duo of Mandhana and Harmanpreet then added 65 runs for the third wicket, a recovery act that powered the team to within striking distance of another victory. Even as Mandhana got out with three runs for win, Harmanpreet was there to guide her side home. Earlier, Pakistan’s decision to bat did not yield the desired result as they lost wicket at regular intervals, and were stopped at 72. Sana Mir, one of the most well-know names of Pakistan women’s cricket, top-scored for the side with 20, but she consumed as many as 38 balls. Opener Nahida Khan (18) was the only other Pakistan batswoman to reach double digit. This was India’s fourth win in five matches, their only reverse being the shocking defeat to Bangladesh. But they bounced back in style, winning against Sri Lanka and Pakistan.